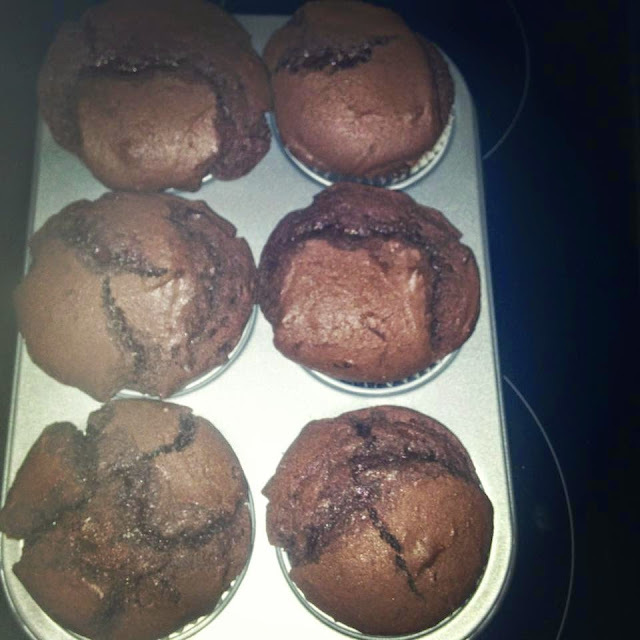 Hey guys, so, I recently made a batch of double chocolate chip muffins. They were so good I had to share them with you. preheat the oven to 200 c / 400 f / gas mark . line 12 muffin cases. Mix the flour, baking powder and cocoa powder together in a large bowl. Rub in the butter until the mixture is like breadcrumbs. Stir in the sugar and the chocolate chips. In a separate bowl mix the eggs , milk and vanilla extract together , then pour the mixture all at once into the dry ingredients and mix briefly. Spoon the batter into the muffin cases and bake for 15-20 minutes or until risen , golden and firm to touch. cool in the tin for 10 minutes. after 10 minutes of cooling in the tin , transfer to a cooling rack or serve straight away.